No problems crossing the border, although I did have to pull over to have an agriculture inspection along with a bunch of RVs. 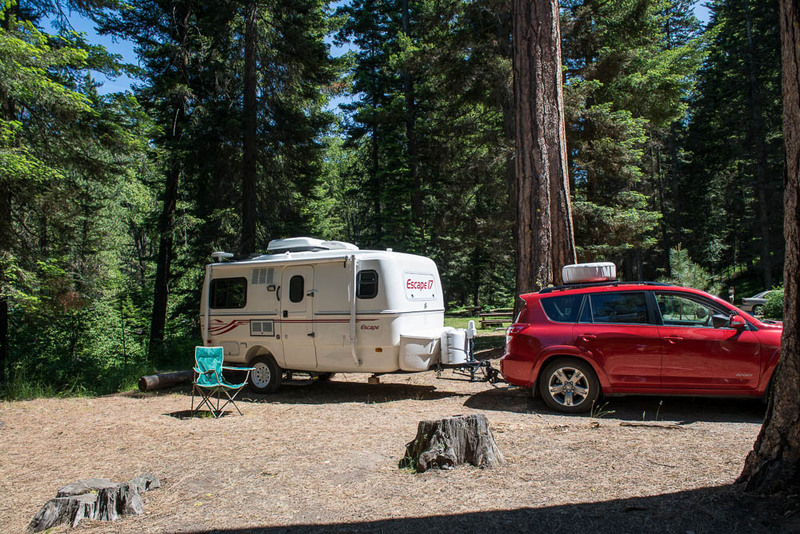 The plan was to stay at the Wenatchee River County Campground, but when I arrived, the office was closed, with a sign that it wouldn't open for an hour. So, I continued on down US 97 & stopped for the day at Mineral Springs Forest Service Campground, a few miles north of where US 97 branches off to the left & WA 970 goes west to I 90. Can't complain about the price - $8.50 for the night with the Senior Pass card. No hookups, but a nice shady spot (although close enough to US 97 that there is traffic noise). While I had a slow connection when I pulled into the campground, it went away just after I read my mail, so I won't be able to post this until I hat civilization. No photos today other than the usual site one. Dinner will be a chicken patty & snap peas.